A local travel agent began hassling us soon after our arrival and taken us by taxi to a number of hotels before we found the Royal Inti, where we managed to negotiate an acceptable price of US$20 for two of us a night. We did not like the pushiness of the travel agent and couldn't get rid of him quick enough. Perhaps we should have been more tolerant, because they know ways to make your stay cheaper if you are on tight budget, as we were, but his insistence and pushiness did get under my 'gills'. We quickly booked to visit Machu Pichu and Lake Titicaca by train. I had a very bad headache, dizziness, trouble breathing and various pain in many places in my body. During the night I often questioned, my survival until the morning, when it was too late to catch our train. We had to trade in our Machu Pichu "Backpackers" tickets for a far more expensive "first class" ones, because the "Backpackers" were booked out for the next day, only available to us, because our scheduled departure. 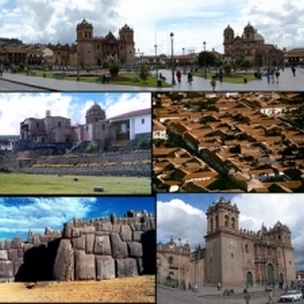 We have enjoyed our stay in Cusco, Machu Pichu, Puno and Lake Titicaca thoroughly.